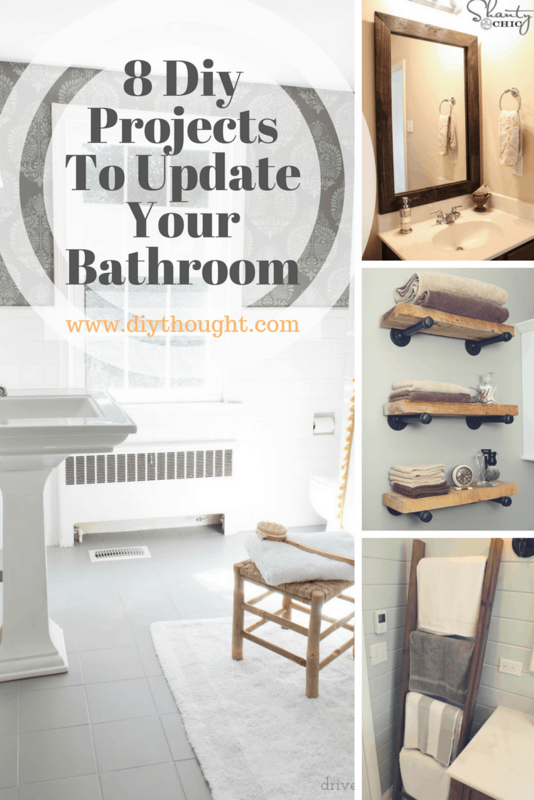 These 8 diy projects to update your bathroom will transform and tired old bathroom into a stylish bathroom to be proud of. 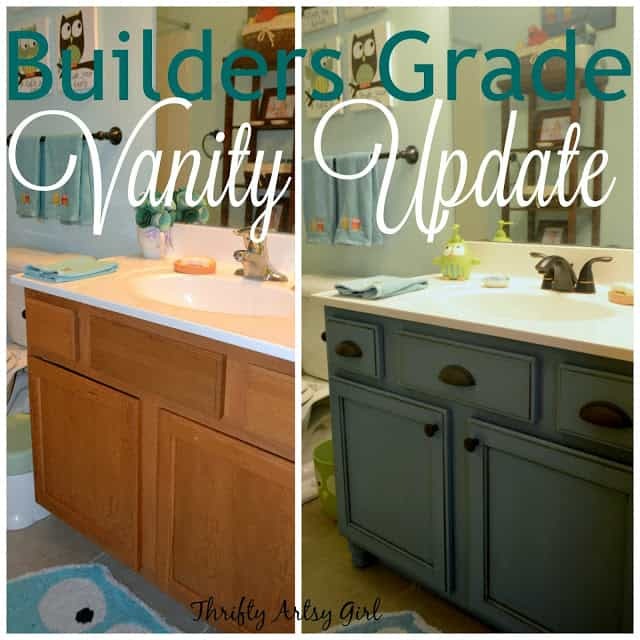 It is amazing what some simple diy can do to update a space! 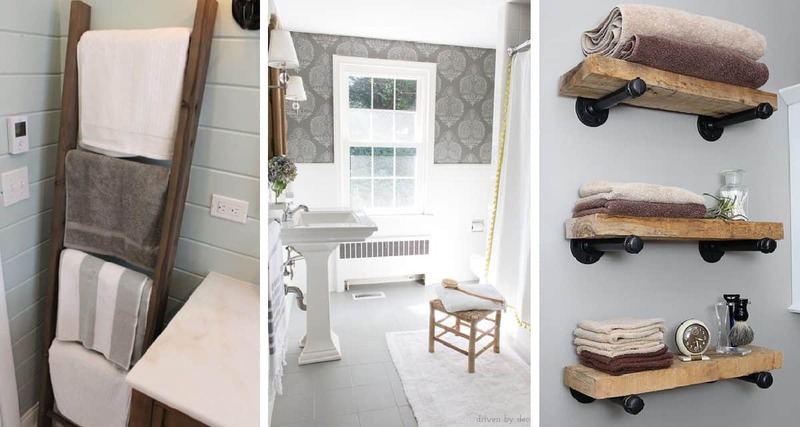 From adding a homemade bathmat to painting tiles and cabinets there’s plenty of ways to transform that bathroom from drab to fab. 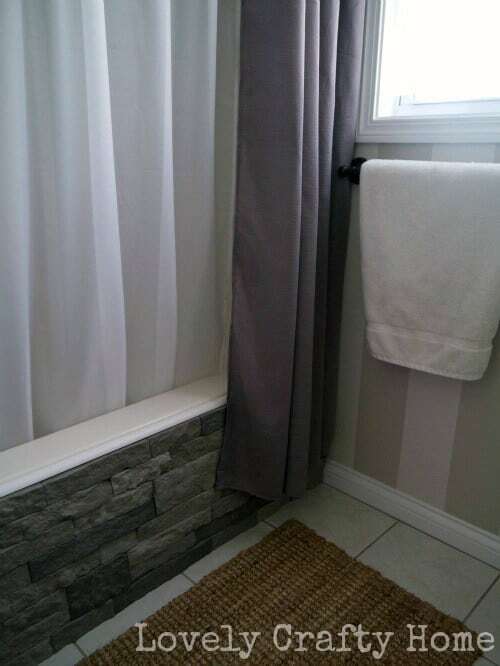 A simple way to update your bathroom is to cover the cladding around the bathtub. Airstone has been used here which is a manufactured stone veneer containing 80% recycled materials. It is lighter than real stone, and to install, all you need is an adhesive, a putty knife, and a hacksaw, easy! To find out more read the full tutorial here. 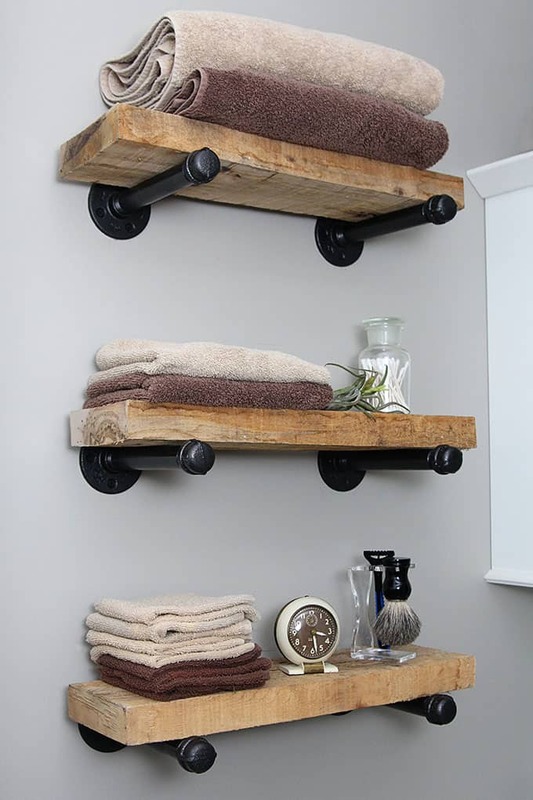 This rustic towel ladder is ideal to place in any spare spaces in your bathroom. It is easy to build and super stylish. 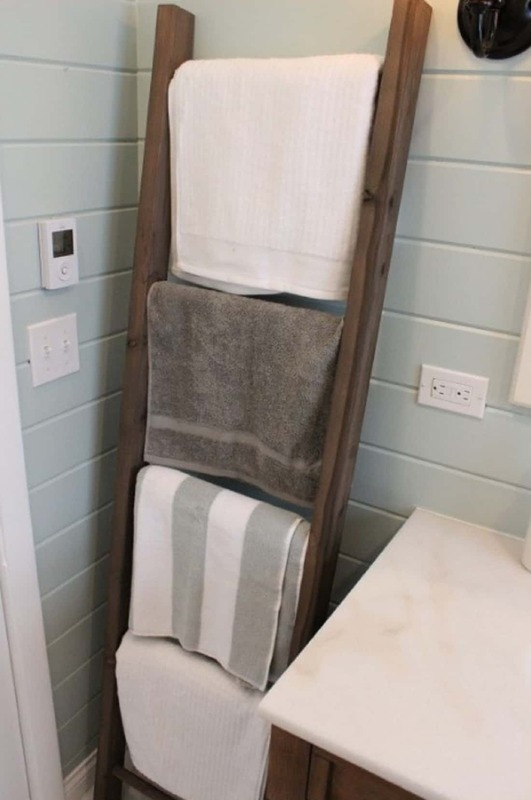 Hang your towels in style with this tutorial here. So many of us that have builder-grade mirrors hanging in our bathrooms, these are the plain mirrors with really nothing going on! One of the easiest ways to fancy-up your boring mirrors is to build a new mirror frame! This project is awesome as it won’t damage your mirror and it’s not permanent so you can change them in and out as your taste changes. Find out more by clicking here. It’s amazing what a lick of paint can do! Painting is super easy with Chalk Paint as almost no prep is required. Read the full tutorial here. 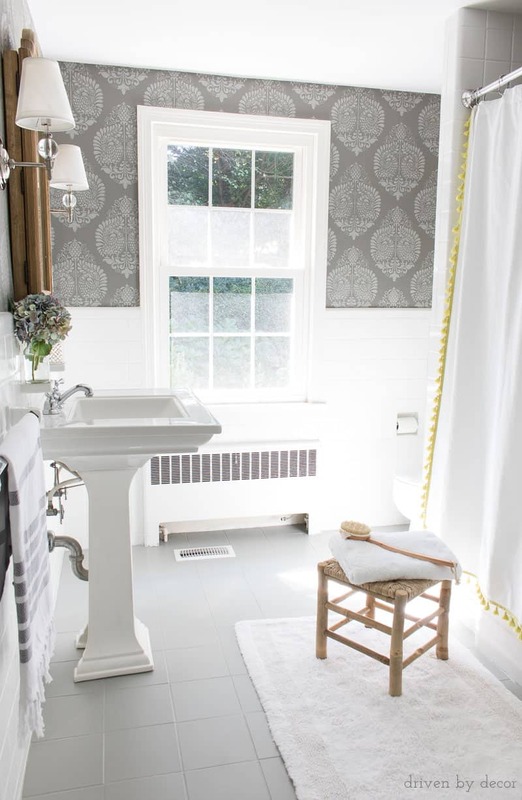 You won’t believe what a difference some paint has made to this bathroom. What was once old red tiles is now a stylish grey. 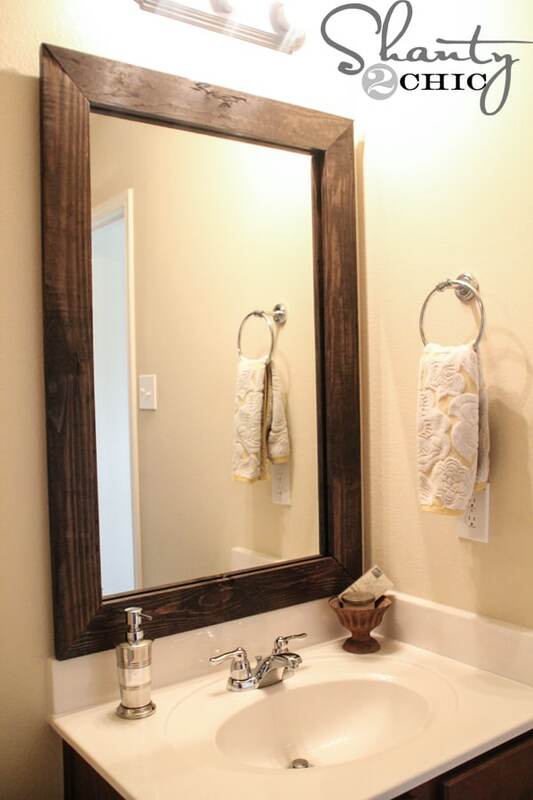 This isn’t the simplest diy bathroom project but the results are well worth the effort. Click here to read the full tutorial. The little details can really make a room. 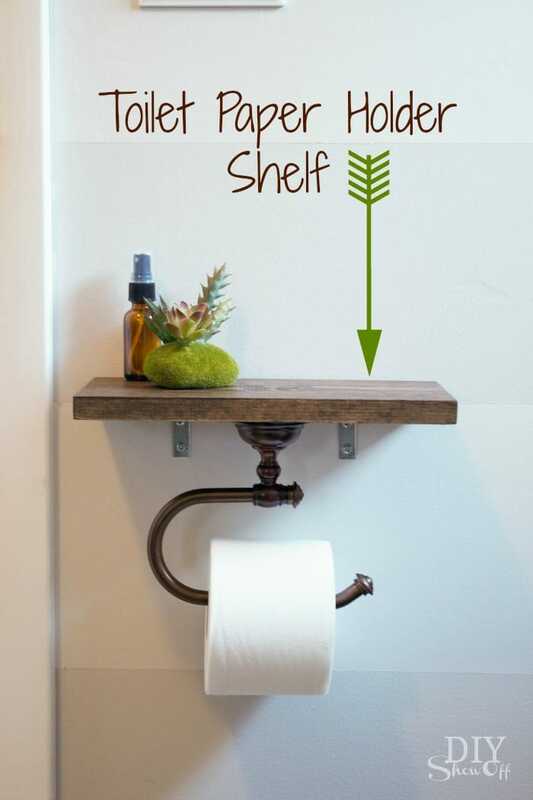 This toilet paper holder is practical and an easy way to add interest to a small space. Follow this link to find out more. 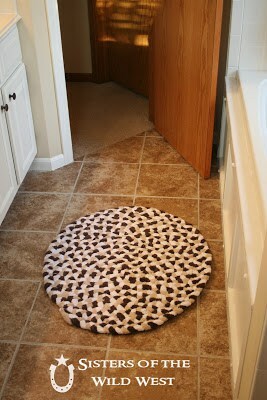 A new bathmat is a simple way to update a bathroom, even better this bathmat is made by recycling old towels. Follow this link to find the tutorial. There is no such thing as too much storage space especially when it looks as stylish as these diy industrial pipe shelves! Read the full tutorial here.